Vincent received his Bachelor's degree in Mechanical Engineering from Liverpool John Moore University and a Master’s degree in Business Administration from University of Portsmouth, in the UK. Vincent has spent more than 10 years working in the construction and project management fields. His experience includes work for major companies in Hong Kong including Gexpro Supply (former GE Supply) as lighting project manager; and Kinden Corporation as senior project engineer. Through these various works, he has gained a strong understanding of project management and practical lighting design application. Vincent joined the shop12 team in Apr of 2009, and began contributing immediately to the lighting projects in Macau, including Oceanus Casino, the Galaxy Sky Casino as well as several Galaxy VIP junket spaces. During the recent years, he is involving the casino and resort projects included the Nagaworld in different geographical locations and Garapan Saipan, NMI as well. His role in the successful completion of the Galaxy Sky Casino Lobby project was rewarded with the 2013 award of section recognition of commendable achievement in lighting design from the IESNA. With a fluent grasp of the English, Cantonese, and Mandarin languages, Vincent can communicate in this region with all relevant project stakeholders efficiently and effectively. 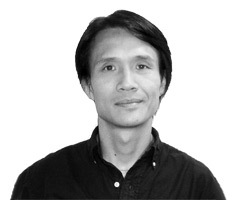 He is a vital member of the shop12 design and Steelman Architecture Asia project delivery teams.